I'm not sure how Autumn has come round so quickly! The clocks have gone back, the nights are getting darker and the weather is getting colder, but I have a few amazing products that I'm really loving for this time of the year to cheer things up. MAC Strobe Cream in Goldlite | £25 | This is a kind of primer-moisturiser hybrid with this really subtle iridescent gold shift to it. It just provides a nice, hydrating base for makeup and gives my skin some added glow - both of which are needed during the colder months when my skin can get a bit dull and tired. Nars x Charlotte Gainsbourg Hydrating Glow Tint (Medium) | £25 | It took me a while to love this base, however since I realised you have to apply it with your fingers, I've really got into it (though I do still think their Pure Radiant Tinted Moisturiser is a little better and has more shades). It just gives a fresh, healthy 'your skin but better' look. It's hydrating without looking greasy and actually lasts pretty well on me - it's obviously light coverage but enough for me on a day-to-day basis. Milani Strobelight Instant Glow Powder in Sunset Glow* | £13 | I love the kind of pearlescent, soft-focus sheen these highlighters give to the skin - it's so natural yet really adds glow (without any trace of glitter). The formula is smooth and has good pigmentation. This golden-amber tone is perfect for a warm autumnal makeup look. Clinique Cheek Pop Blush in Fig Pop | $23 | Annoyingly this specific shade still isn't out in the UK (though the similar-looking Ginger Pop is) however I just love this blusher formula in general - it has a very slight sheen and is so incredibly easy to blend. 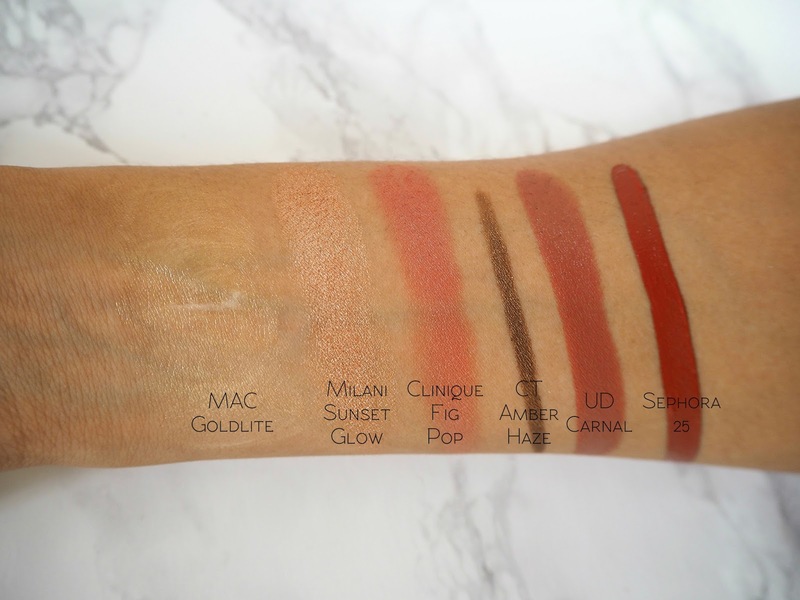 The colours are vibrant but the pigmentation isn't too much and they wear so well. This is a beautiful, warm plummy tone that's perfect for this time of year. Zoeva Cafe Eyeshadow Palette* | £17.50 | This is a bit of a sneak peak because there's a review coming up next week! However I couldn't resist including it here because the tones are so autumnal. 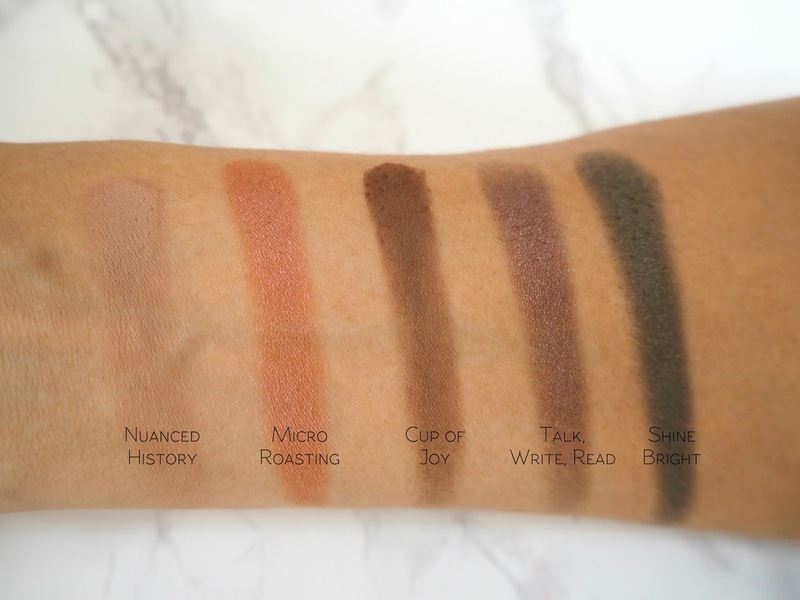 My go-to look has been Micro Roasting across the lid with Nuanced History as a transition, Tasting Note to deepen the crease and Cup of Joy to smoke out the outer part of the lid and lower lash line. It's so perfect for a wearable cranberry-toned look. 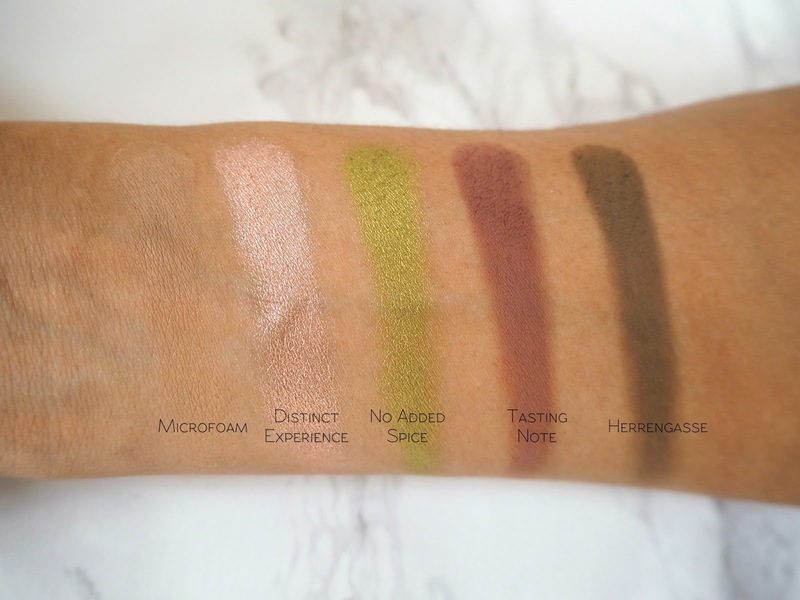 I always rate the quality of Zoeva eyeshadows and this palette is no exception - I'm really impressed with the pigmentation, ease of application and blending and also the longevity of these. 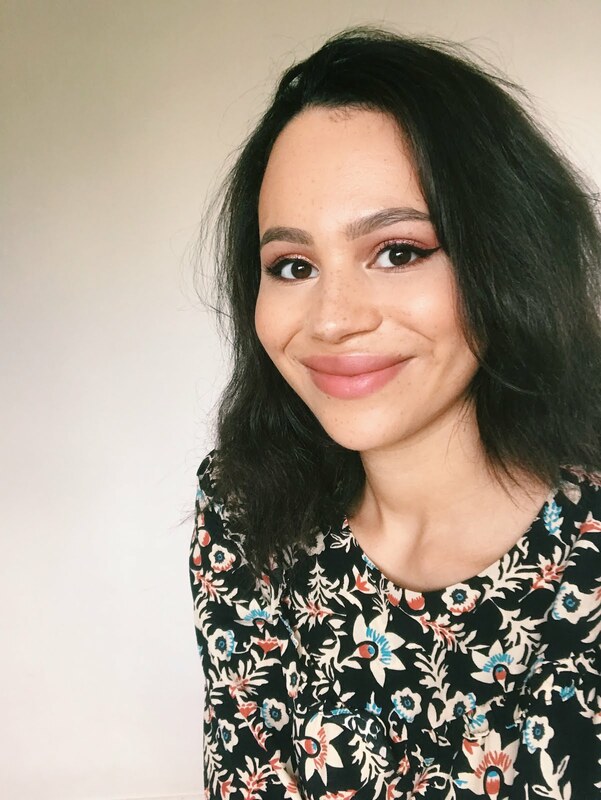 Charlotte Tilbury Colour Chameleon in Amber Haze | £19 | This stunning warm golden bronze-brown has been my go-to eyeliner recently. It works beautifully with the Zoeva eyeshadows to create soft definition. It's very pigmented and creamy to apply but also lasts without smudging. Urban Decay Vice Comfort Matte Lipstick in Carnal | £15.50 | It's no secret that this is one of my favourite matte lipstick formulas - it's totally opaque, has a completely matte finish and is very long-wearing, however at the same time it isn't drying or uncomfortable. This colour is perfect for autumn - a sort of warm terracotta-toned brown with slightly rosy undertones. Sephora Cream Lip Stain Liquid Lipstick in 25 | $14 | For a bolder lip option, I really like this shade. It's a gorgeous warm red tone in a very comfortable formula. As you can see, it's very pigmented, despite being creamy on the lips. Whilst it doesn't last as long as matte liquid lipsticks that totally set down, it's worth it for the comfort! Embryolisse Lait Creme Concentre* | £13 (30ml) | I've been obsessed with this product for a while and it's already serving me well as we head into the colder months. It has an interesting, lightweight texture so doesn't smother my skin or make it look greasy, however it's intensely smoothing and nourishing. It takes care of any dry patches as a moisturiser but is also a great primer, making my skin look nice and fresh. Pai Rosehip BioRegenerate Oil* | £22 | This face oil is such a great all-rounder! It isn't going to clog your pores or break you out however I do use it overnight. It plumps and nourishes the skin, leaving it looking so much healthier. It's also great for brighter, more glowing skin and to soothe any redness or irritation. Nuxe Reve de Miel Lip Balm | £9.50 | I use this all year round but it's especially worth a mention during the autumn. It's got a thicker texture, so I personally save it for overnight, and it does smell great! A good layer of this before bed means I wake up with soft, smooth lips that are completely nourished - I rarely have to use a lip scrub now I've discovered this. Nuxe Huile Prodigieuse Multi-Purpose Dry Oil Spray | £29 | I honestly must have been through about 4 of these - it's one of the best oils I've ever tried and it just always comes in handy and does the job. It comes in a spray bottle, which is really handy and can be applied to the ends of your hair. My favourite way to use this is on the body, though. It's just so intensely nourishing without being slippery or greasy or sitting on top of the skin, plus it smells amazing! Nuxe Prodigieux Eau de Parfum | £44.50 | This is the matching fragrance to the oil - that's how much I love the smell of this collection! It's so warm, rich and unusual. The scent stays noticeable all day long, which is also great too. The notes include bergamot, magnolia and vanilla. Leighton Denny Heritage Nail Polish in Pretty in Plaid* | £12 | I'm a big fan of this entire collection and there's a review coming soon! The formula is really great - opaque and very long-lasting compared to most polishes on my weak nails. This is a gorgeous, slightly vampy deep plummy red with a shimmer running through it. 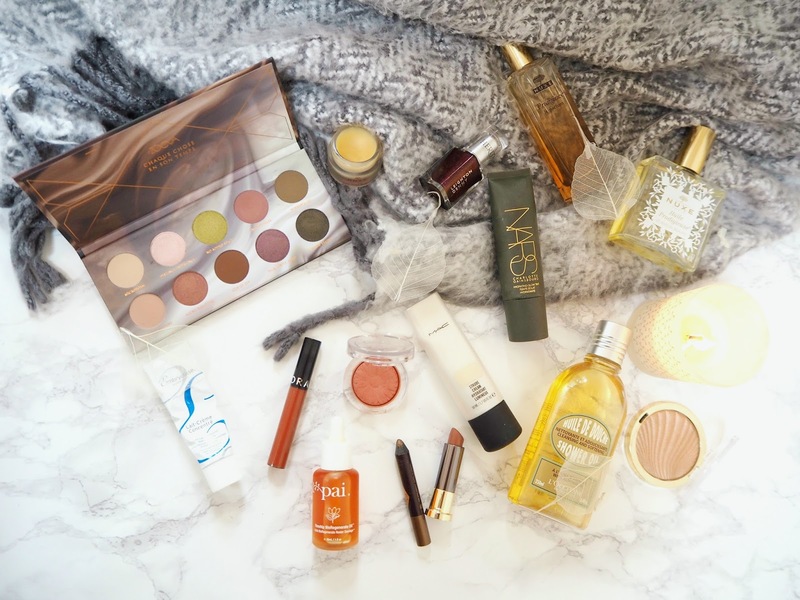 What are your autumn beauty favourites? That zoeva palette looks so nice! I so need to try the Pai oil! It's been on my list for ages and has definitely been on my list for far too long! That UD lipstick is gorgeous though, I can't fault them. They have some lovely shades in their collection as well! That Zoeva palette is calling my name! I've been waiting to try their shadows until they came out with a palette that spoke to me and I think this might be it. That shade of the Sephora Cream Lip Stain is really calling out to me - it's gorgeous! I don't know why but that Zoeva palette is just calling my name! 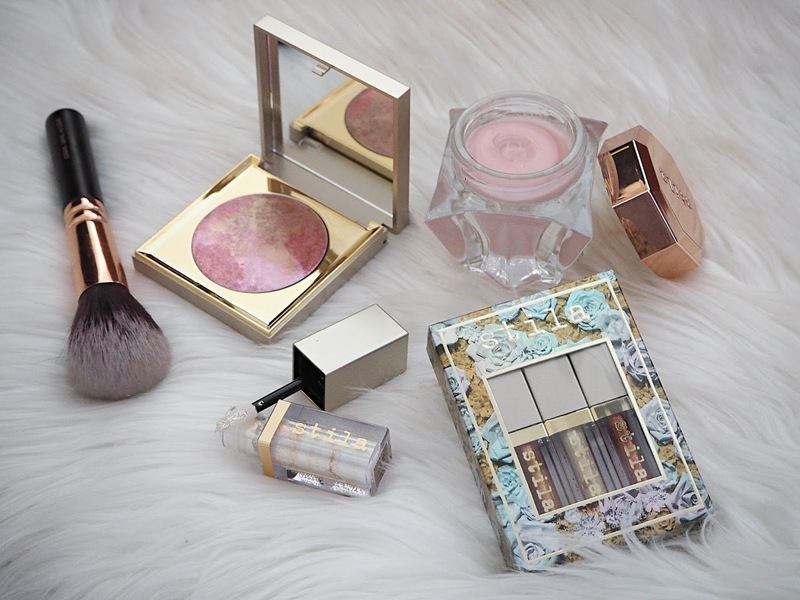 That Zoeva palette looks seriously stunning, also obsessed with the colour of that Urban Decay lipstick! That Zoeva palette is so stunning, it looks perfect for this time of the year!